Apps like the ones mentioned above allow to execute actions based on external events. Those events may well be the connection to a WLAN, the entering of some area. Those events are pretty useful if combined with an FHEM instance. This is why andFHEM provides an external interface to those apps. Open up Llama, click the rules tab and click on the plus icon to create a new rule. Add a new event by clicking on the respective button. Select Locale-Plugin as event type. 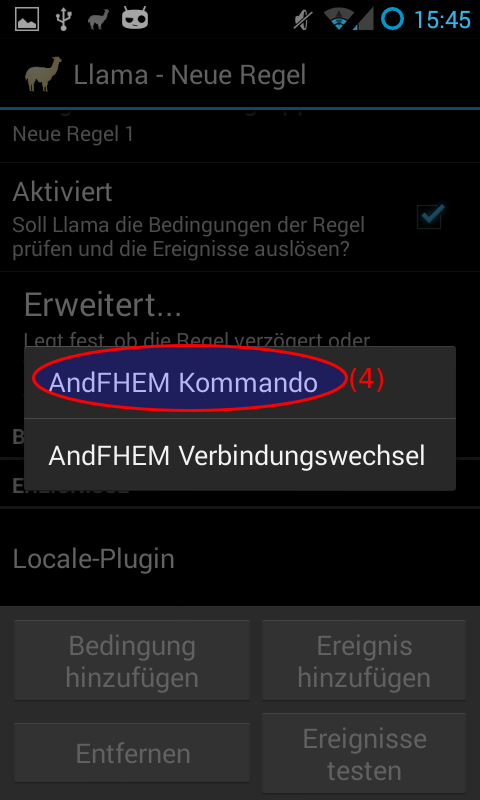 Enter the command you want to send to FHEM. Select the connection you want to use. You can trigger actions based on device states by adding the Device State Locale Plugin. You need to select a device and enter a desired device state. 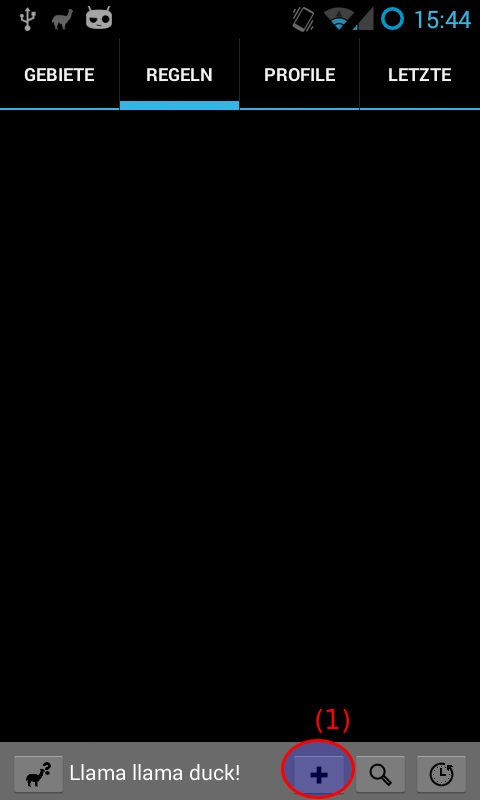 If the device state is found to match the desired state, the condition is met and an action is triggered. 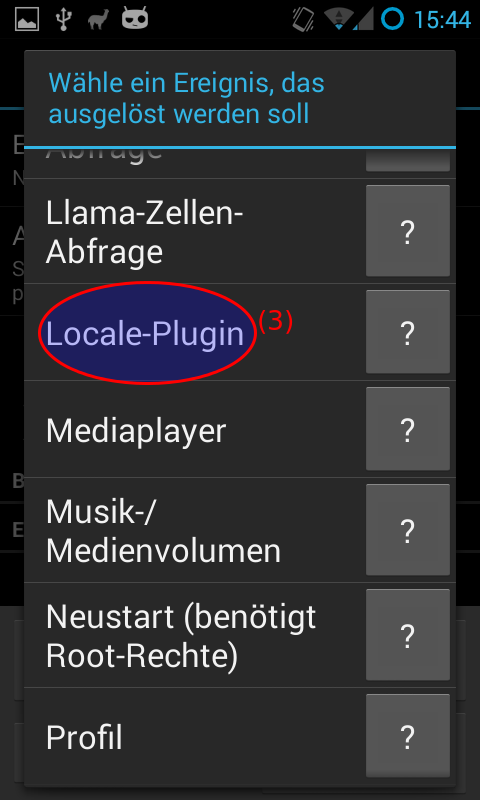 This plugin only works using Locale and Tasker. 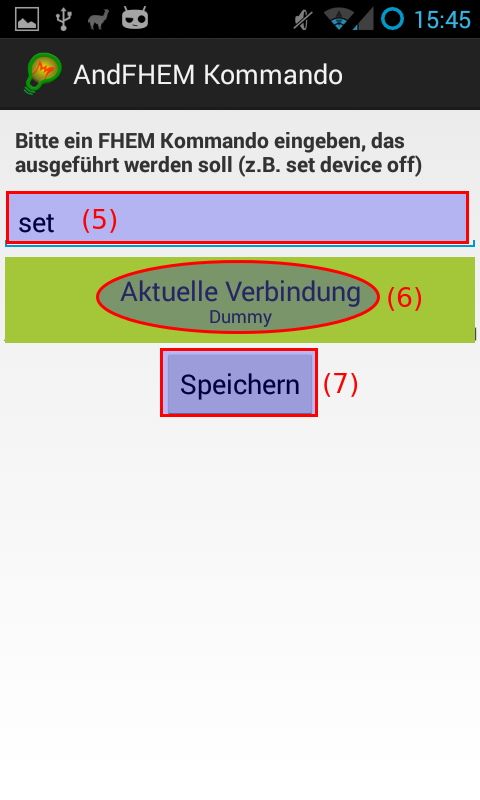 Tasker allows to receive Intents from external applications and trigger events based on the contents (see Tasker Documentation for details, AndFHEM 2.7.0+). DEVICENAME The name of the changed device, i.e. "mat_halogen"
STATE_NAME The name of the changed state. This is always uppercase and usually equals to "STATE". STATE_VALUE The actual value, i.e. "on". fhem://room=bathroom Opens a room called "bathroom"
fhem://device=light Opens a device called "light"